In recent days it turned viral on Facebook the so called #10YearChallenge, inviting users to post a photo of 10 years ago along with a recent one, to check the effects of the time pass on people. About 6 million people joined the challenge, but it has also generated some questions and concerns. Network security and ethical hacking specialists from the International Institute of Cyber Security have listed a number of considerable reasons for not doing the #10YearChallenge. Governments are always looking to gather as much information as possible about people. In this case, government agencies might find it useful to collect information for their facial recognition systems, so the #10YearChallenge posts left available any critical data to implement this kind of systems. In addition, companies like Amazon have been involved in controversy in trying to sell the U.S. government facial recognition technology. Craig Petronella, network security expert, believes that there are many reasons why Facebook would like to know details like these. “Facebook has become a data mining company,” said Petronella. “This allows them to use artificial intelligence systems to analyze our behavior, and then sell our information.” Companies buy this information to make marketing campaigns more and more specialized. Considered as the evolution of the ‘fake news’, the term ‘deep fake’ refers to the manipulation of the faces that appear in a video in a very realistic way. The #10YearsChallenge could lead to an increase in resources available to malicious actors to make deep fake videos, so they can carry out spam campaigns, fake news, blackmail or fake evidence. In a survey conducted by the non-profit organization Fitch the Label, 47% of participants have received unpleasant comments on their Facebook profiles, and 62% of respondents claim to have received unpleasant private messages. With the publication of old photos, many network security experts fear that these bullying practices can increase, which could affect their children. Parents or guardians are encouraged to ensure that their children do not participate in this kind of challenge. Let’s say you like a Facebook page dedicated to patients with diabetes. This page may be the best way to share experiences related to this disease, such as nutritional recommendations or relationship with sick relatives, but for Facebook that makes it a patient. In addition, adding information such as the #10YearChallenge adds more resources to the social network to detail a profile of potentially sick users. This can help insurers to determine if you could be covered or not, depending on the appearance shown in your photos. 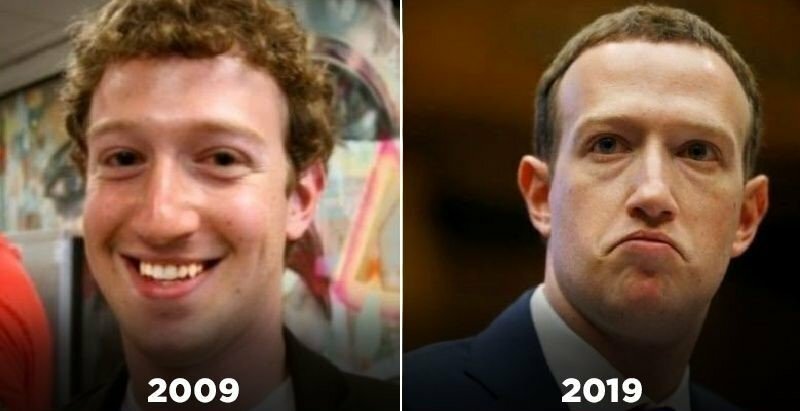 The social network has already stated that it has nothing to do with the popularization of the #10YearChallenge; “it is a meme that emerged among users, its popularity does not represent any benefit to the social network”, said a spokesman for the company. However, due to Facebook’s background on collecting and selling personal information, we have reason to doubt his lack of malice.